Workers call for end on working with government that splits immigrant children from their parents at the border. Hundreds of Salesforce employees have signed a petition to ask their company to stop working with the US government. This is now the third major tech company whose employees want to cut ties with government agencies and institutions. A total of 650 employees have asked their chief Marc Benioff to terminate the work the company does with US Customs and Border Protection (CBP), following news that immigrant children were being separated from their parents at the border. 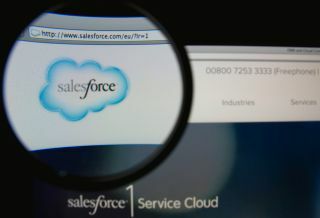 Salesforce reacted, saying they were proud of their employees for voicing their opinion, but didn’t announce any moves. The company spokesperson said: "One of the greatest things about being part of the Salesforce family is that we proudly foster an open exchange of ideas and dialogue. We’re proud of our employees for being passionate and vocal, and will continue the conversation on this and other important matters."